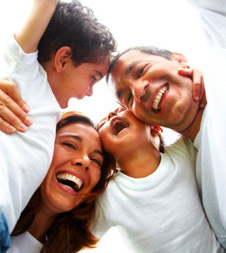 Anger management classes benefits are something you and your whole family will experience. Once you learn to manage your anger, you no longer have to see fear in your family member’s faces when you start to get upset. Instead, you will be able to discuss whatever you want to talk about and work toward solutions. You will have the tools necessary to successfully manage your emotions and respond to situations constructively rather than destructively. The issues can be the issues – instead of your anger taking center stage. Can you imagine what a difference this would make in your life and the lives of your loved ones? Improved relationships with the most important people in your life. You are not alone. A lot of men struggle with managing their anger and not letting it control them. Just ask their wives and kids. When you have issues with anger management, your whole family is impacted by this challenge. But anger does not have to run your life or impact your family any longer. Instead, you can learn to control your anger. Do not waste another day letting anger manage you. Sign up for anger management classes today, and start to learn how to stop your anger. There is no better time than now to get anger management classes benefits for your self. Start today, and regain control of your life. Give the gift of peace to your family and yourself. See how to start anger management classes with Guy Stuff and our current schedule of available classes to help you or someone you love manage anger. Please us for a current schedule of available classes. For additional resources, do not forget to also check out our Counseling Men Blog articles on anger management.